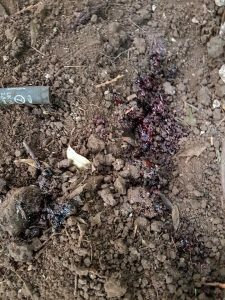 We found the hunt at the bottom of the Dingles (where they often have their opening meet and near where their old terrierman, Roger, was filmed blocking a badger sett last year). This weekend we stopped them on a fox at the old quarries. Now then… in order to stop hounds when they are hunting a fox, you have to “rate” them i.e. tell them off. Cracking a whip is their “off switch”. So despite the honorary secretary of the hunt’s protestations no hound was hit in the process of stopping the pack. A pack of hounds can be stopped despite the lead hounds having passed. By stopping the rest of the pack the lead hounds can often come back, or the hunt staff gather them up and abandon the chase. Support us if you can / want! Just a brief update. 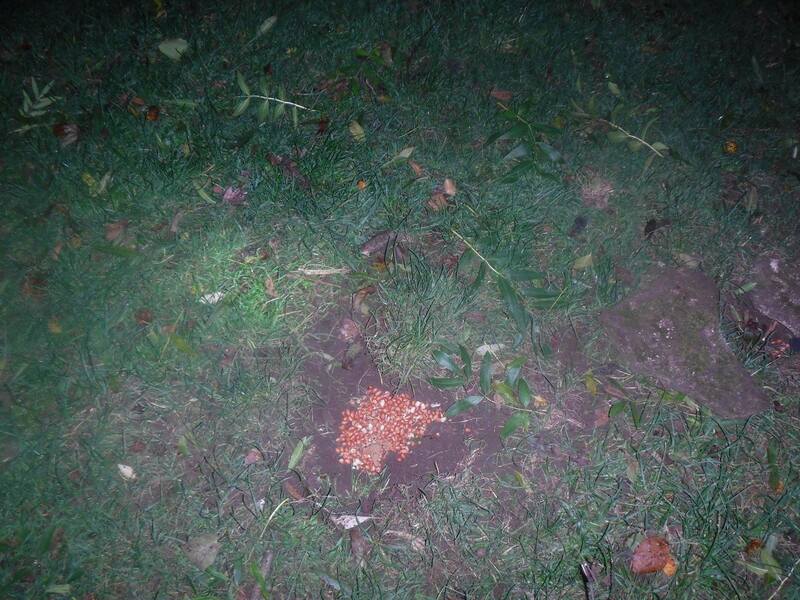 We have spent much time checking setts and surveying for others within the cull zones. Bait points are being refilled and shooters spotted. On a good note whilst we are finding setts that have been blocked by hunts some time ago, as yet this season there have been no freshly blocked setts found associated with fox hunts. We will continue to be vigilant on this matter. Please continue to support us out fighting the cull, financially if possible, or by sharing, liking our pages, sending in information if you are not able to be out. Thank you! Very, very busy in the various cull zones. Lots of badgering and lots of metal things being reported (including on the Gatcombe Estate as the Royals being signed up for the cull). The Duke of Beaufort’s Hunt met at Rodmarton this morning and a 3C sab’ accompanied Cirencester Illegal Hunt Watch. Shortly after the hunt moved off the hounds were on the line of one fox, turned back by a sab and then they picked up on a second fox. Hounds were rated back (sorry for all the shouting) and Matt Ramsden gathered the pack and took them well away. The CIHW vehicle then ran into the VWH who had met at Kemble and were hunting another fox. 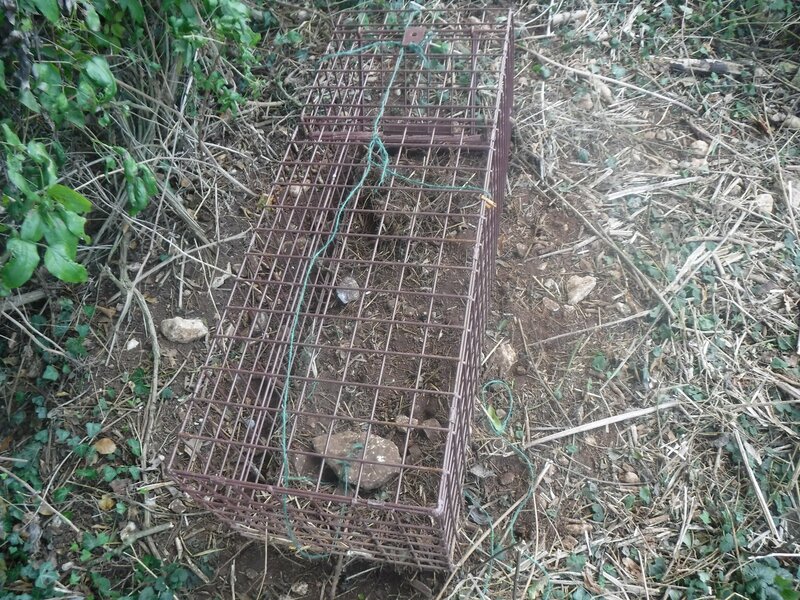 With the badger cull going on in this area and multiple cages out it is an all out war on wildlife! We were then out til just after dusk checking more setts. The NCH met in the vicinity of Norton Hall, off the Broadmarston Lane. Despite the numerous badger setts blocked within the Mickleton / Broadmarston / Pebworth area as well as on land owned by Marcus himself, the hunt appear to still be obtaining permission to hunt fox cubs… this is the same area in which 3C sabs caught terrierman Will Haines and friends digging down into an active badger sett in October 2016 after the hunt chased a fox to ground. Will Haines was out again this week on his quadbike. Having worried a flock of sheep at Norton Hall Farm, the hounds (almost the entire pack…) were moved on to a nearby wood, 2 deer running back and forth within it. At one point they ran back into the wood, straight towards several hounds who were drawing through. The deer split, one panicked and turned straight into a tree, the impact easily heard by sabs in the next field. She rolled and ran off, but this is likely to have been an effect of adrenalin. A handful of hounds rioted on her scent soon after but hunt staff (finally) called them off. After the hunt packed up around 11am, sabs headed off for breakfast and coffee and returning a found phone to a local rider before returning to the badger cull zones. In one area 3 bags for life full of peanuts were removed from bait points. Several baitpoints checked. One right near a footpath. One with the prebaiter caught on film and on checking the final one noted that the maize had been cut today. This is significant in the freeshooting of badgers as badgers love maize and will go into the harvested fields to eat what is left, shooters know this and the first night or so after harvest is very dangerous for badgers. Field sitting commenced and before long a shooter passed by so some noise was made. About to enter the 4th month of the supplementary cull in West Gloucestershire, in week 3 of badger culls across Gloucestershire and parts of Worcestershire and cub hunting in full swing 6 days a week so things a bit busy! We were out on Monday at Century farm, Broad Marston lane against the North Cotswold hunt where hounds rioted on deer again, report to follow. 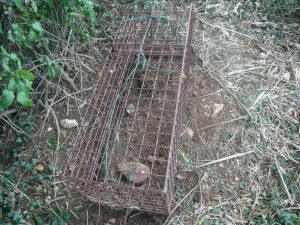 Much time has been spent, however, on the Overbury estate near Beckford (north Cots zone) where multiple baitpoints have been placed in order to lure badgers to their death by shooting. Last night shooter and sab’ bumped into one another and the shooter was very keen not to be identified. Obviously we will continue to keep a close eye on this area which is a huge pheasant shooting concern. Last year a dog was caught in a snare which caused much debate locally.